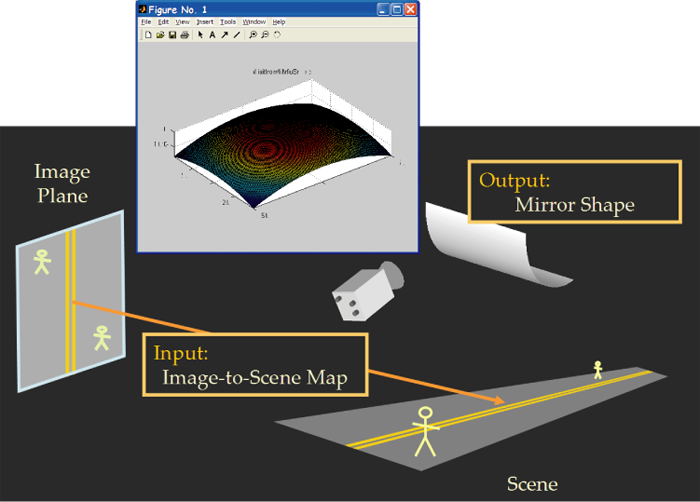 "Designing Mirrors for Catadioptric Systems that Minimize Image Errors,"
A licensed copy of REFLEX can be obtained by filling out the request form below. REFLEX is free for academic use. We are distributing the Matlab files for REFLEX by physical media (CD-ROM). This request form must be filled by a full-time employee of the requesting organization. Students must provide their advisors' names and e-mail addresses. Please allow 3-5 weeks between request and shipment of the CD-ROM. We reserve the right to decide not to send a copy to the requester without notification. After submitting your request, you will see a confirmation page. Please do not click the Send Request button more than once. Copyright 2004 © Columbia University. All rights reserved.